In August 1991 an historic meeting of eight women took place in Sydney - a meeting that gave birth to Romance Writers of Australia. Although we began with only eight members, we now support over 700 members and our membership includes writers from Australia, New Zealand, Singapore, the United States and the United Kingdom. RWA has become internationally recognised and respected by both category and mainstream publishers of romance. to promote excellence in romantic fiction, to help aspiring writers become published and published authors to maintain and establish their careers, and to provide continuing support for romance writers – whatever their genre – within the romance publishing industry. Join a writing group in your area or online, find a critique partner or our Individual Writers Support scheme. Enter yearly writing contests designed to motivate and assist you in your writing development. 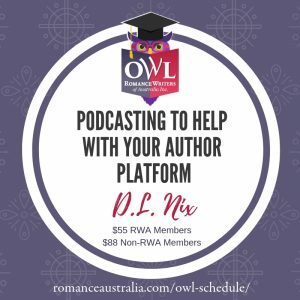 Join our annual romance writers’ conference and other professional development opportunities such as online courses. Members also enjoy a discount. Receive our monthly journal, packed full of craft and industry know-how. Join over 1000 authors to discuss everything related to writing, from genre to craft, publishing to marketing. Enter Australia’s prestigious Romantic Book of the Year award for published works (at a discounted rate). Membership is open to individuals who support and adhere to the purposes of RWA, and who have attained the age of majority in the state in which they reside. Joining RWA in 2002 was the single best thing I did as a wannabe romance writer. I attended my first conference the same year and was immediately exposed to a brain expanding wealth of information, support and friendship which resulted in my first sale to Avalon Books in 2006. 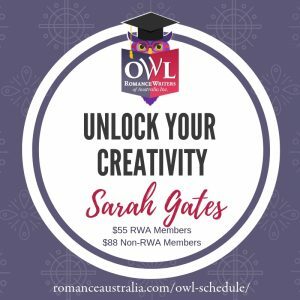 Why join the Romance Writers of Australia? Well, apart from the obvious - that the RWA offers the most fantastic support to all its members which includes up-to-date industry info, a network of wonderful writers - both published and yet-to-be-published - annual conferences which international authors and NY agents attend (not to mention the fabulous Romance Roadshow which this year traveled to Perth and Adelaide) - where else will I find people who won't either give me freaky looks or attempt to lock me up when I tell them how much I enjoy being the goddess-of-my-own-universe? RWA has given me a circle of support; a group of people who are likewise minded and willing to share all their knowledge, ups and downs as we all travel the path to publication and beyond.